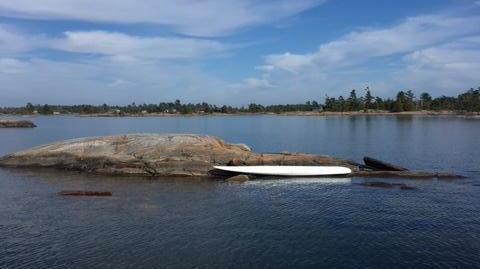 Thanks to Mark and Mike Payne for this pristine shot taken just this week in PaB. 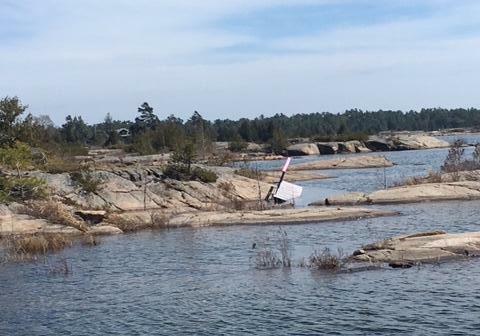 It would appear that Spring has indeed arrived in Pointe au Baril! Spring has finally sprung in PaB! 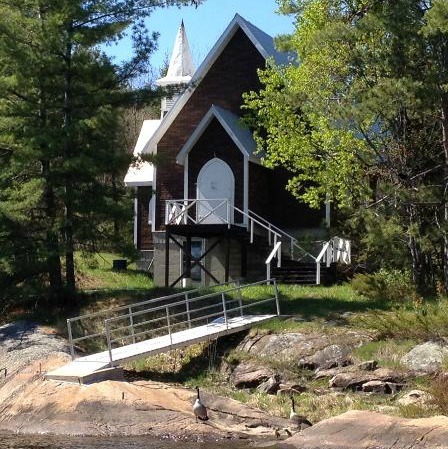 ﻿If you have the opportunity to be up at the cottage over the Long May Weekend, we hope the weather cooperates! Visit PaBIA’s Website for ’18 Calendar! Our Quest to Get Your Best Input! As Communications and Marketing Director, I am always looking to find better ways to learn what YOUR thoughts are on a wide variety of subjects. This gathered information, in turn, helps your PaBIA Board put its energies into the areas that matter most to our membership! One very effective way to gather this input from members is to provide you with focused surveys. 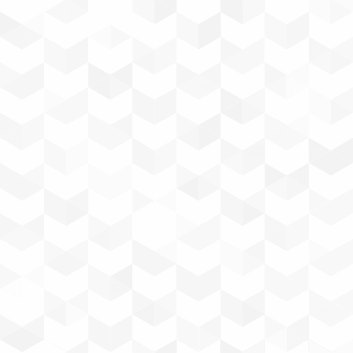 To do that well, however, we need someone’s help who has expertise in either crafting appropriate questions and/or tabulating the results in meaningful ways. Should you have that particular skill set, and would like to help by volunteering some of your time and talent, or know of someone who does, please email Hilde at your earliest convenience to learn more! 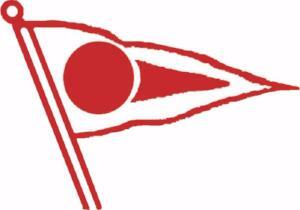 PaBIA Navigation Markers – Almost 100 Years of Safe Boating!!! Picture in your mind being at the wheel and boating up Hemlock Channel, then wending your way through the turbulent waves around Carolyn Island on the edge of “the open”. Now imagine you’re heading back into the complex turns of Frederic Inlet, steering your way around the granite shoals lurking just below the surface. It’s at that point when you’ll be thanking your lucky stars yet again for those trustworthy sentinels of safe water… our red and green PaBIA Navigation Markers. 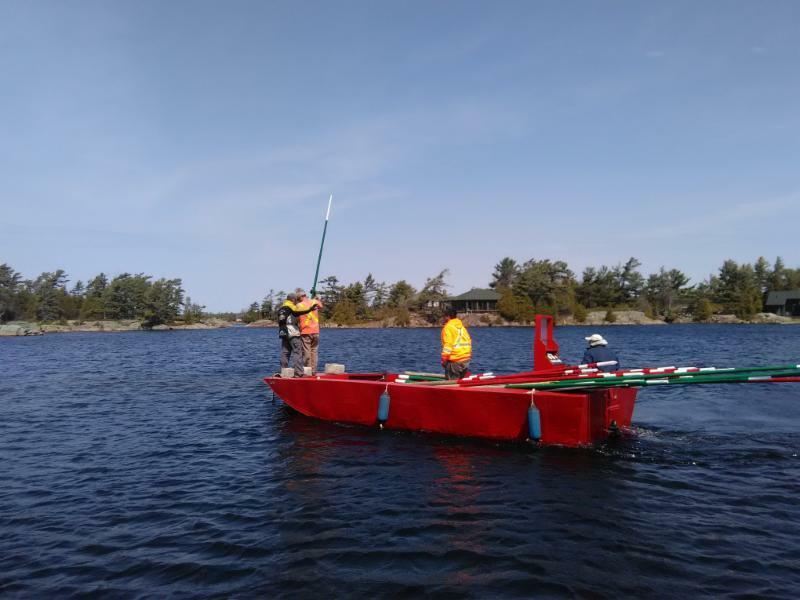 You may have seen this picture of the Desmasdon’s crew out this Spring, doing as they have done for well over 70 years, anchoring every Navigation Marker in all the 130 locations around our Pointe au Baril waterways! This year, as members of PaBIA, you will have helped fund well over $15,000 ensuring these vital markers are kept in top shape and put into place. Each year the poles are painted, new reflective tape added where needed, new poles, floats and anchors are made as required. Typically, out of 130 markers, 40 poles, 18 floats and 36 anchors are newly made each year. Then all, expertly positioned and secured by the Desmasdon’s crew. During each boating season, replacement markers are required due to damage or loss. Over the 2017 season, 54 replacement Navigation Markers were needed. In total, 2017 funding for Navigation Markers of $17,781.54 was provided by PaBIA made possible through your membership fees. While it seems expensive, how does one put a value on our personal safety? Of course one can’t. However, the money saved keeping our propellers off the rocks is much more tangible, and well worth the cost of prevention!! Nancy Rogers did some digging from when her grandfather, ‘Unc’ McCuaig, was the PaBIA treasurer. Here are few fun, historical facts you might enjoy. In 1926, we had 141 members (PaBIA dues were just $5! 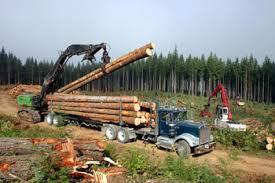 ), ‘marker’ expenses were $122.60 – no info found on number or who was responsible for placing them. In 1928, Albert Desmasdon’s name appears being paid $20 to do the work. In 1968, 50 years ago this season, we had 80 markers. Due to high winds and bad weather, it wasn’t until June 15th that all were in place. Demasdon’s has been helping place these markers for generations starting with Albert Desmasdon for 75 years! 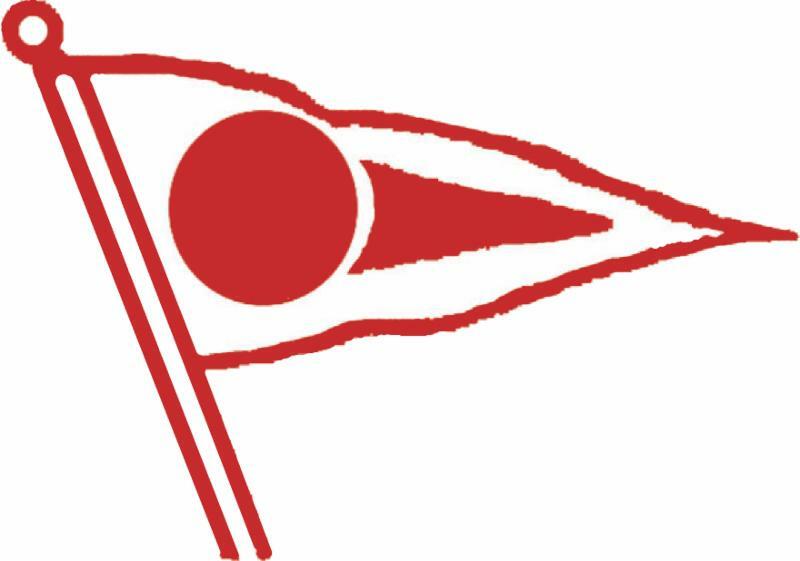 A big PaBIA thank you to Desmasdon’s Boat Works for all these years of working with PaBIA on this critically important rite of Spring (and Fall for the take out), and to all our loyal PaBIA members who understand the importance of all the work done by this community association. in support of the West Parry Sound Health Centre. Last year the Pointe au Baril Team (PaBC) raised 10K and the hospital was truly thrilled. 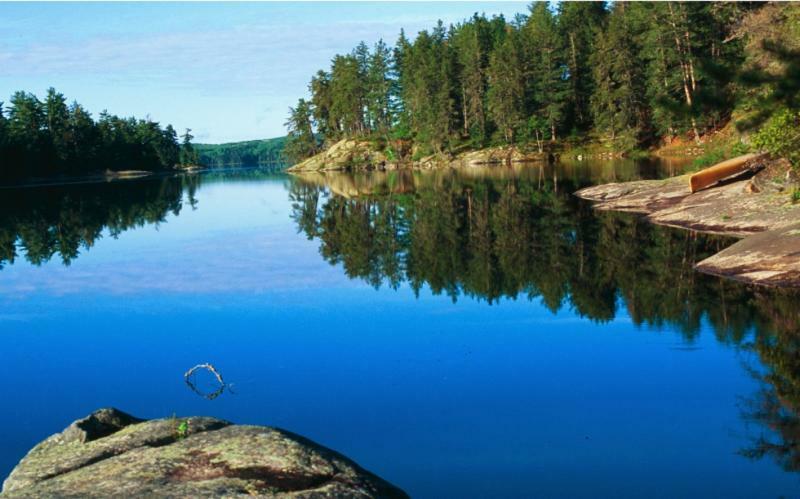 Helen Bryce, as Team Leader for PaBC, has issued a challenge to the other cottager associations to compete for the “top cottager team” fundrser prize (which PaBC won last year). And we DO have a challenger – Lake Rosseau North Association – has thrown down the gauntlet, so with your support, we can win the fundraising competition in aid of this critical health centre! The Pointe au Baril Cottager Team is looking for more team members so please email Helen if you or someone you know might be interested in participating! to see who is on the team. There are TWO Teams from PaB worth supporting!!!! Let’s support them both – for a very worthy cause!!! Or sign up to run as an individual here!! 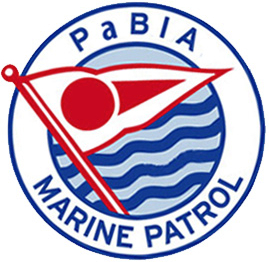 Abigail Sorensen and Jennifer Boughton will be on the job by June 29th (and through to Labour Day), having completed their training with Cath Fairlie (rt), PaBIA’s new Marine Patrol Supervisor. 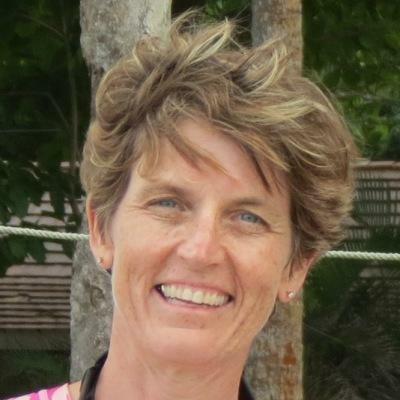 Hilde Clark will orient them them on the use of the Marine Patrol database. Remember that part of your membership dues goes toward all this training and the salaries for our two patrollers!!! PaBIA member donations above and beyond the dues to date – $6275! PaBIA wishes to thank GBLT and the many members who donated for your thoughtfulness to help make our MP the best it can be. 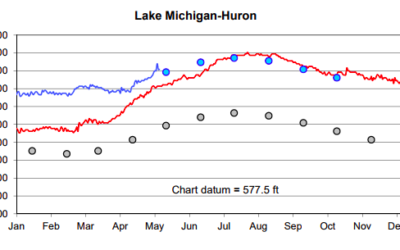 This summer the MP will be using their IPads on the water to record the data on the spot – with the intent of giving PaBIA even more accurate information that it can then use to identify needs and provide direction as to next steps! For sure, one area the patrollers will be trained to identify and locate is Phragmites that has come to PaB. If at any time, you feel you notice what could be a patch, please call the Marine Patrol so they can confirm it and then report it to GBF. Please DO NOT attempt to eradicate it yourself. There will be an opportunity to cut these down in early August (the optimum time for dealing with this stubborn plant) and properly dispose of the debris! Our beloved Nurse Practitioner, Patty Riches at the Pointe au Baril Nursing Station, is retiring at the end of May after serving the PaB community for 32 of her 43 years in nursing! She will indeed be sorely missed as her smiling face and calm demeanor is synonymous with nursing care in Pointe au Baril! These will be tough shoes to fill so please warmly welcome Jared Bonis in June as our new nurse practitioner on duty. Welcome Jared! Nancy is hard at work, having already prepared 850 envelopes with all the extra books, stickers and burgees that have been ordered, now stuffing the envelopes and getting them off in the mail – which, of course, includes Jim Rogers to help schlepp the many filled up boxes to the post office! It’s a huge job! Bruce Tiffin, PaBIA’s Off Season Patrolman, has completed as much of the Spring Patrol as was possible before his mother passed away this past week. Be on the Lookout as You Boat in These early Weeks! 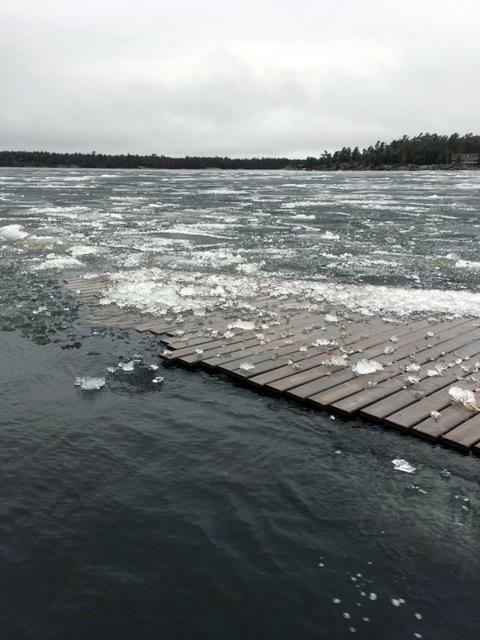 Bruce notified PaBIA of a dock/deck that was frozen into the edge of the ice in Northern Shawanaga Bay the first weekend of May. He warns that with the ice breaking up fast, this could soon be a hazard to navigation if its owner isn’t found in time for the long May weekend. To date, Nancy has had 7 reports (including the one above) of problems found on the spring patrol. ALL were dock related – changing water/ice levels causing ramps and docks to be moved out of position, damaging several or putting them on shore. Of course, where possible, Nancy has notified the owners! 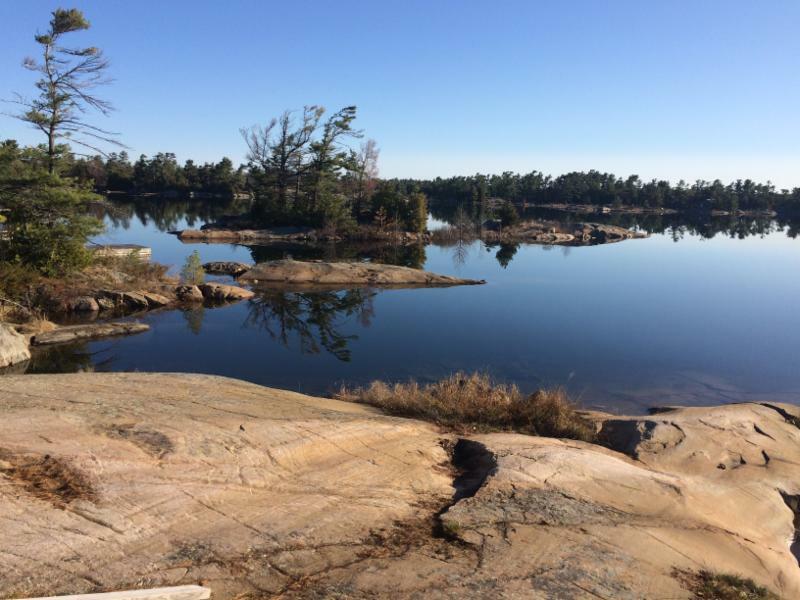 Our own Shelagh Grant has spent years working with the Ministry of Natural Resources and Forestry (MNRF) and was able to attend the MNRF Forestry Review of its 2019-2029 lumbering plans in Parry Sound in early May. Shelagh and David also discussed the Blue Green Algae problem…learned more about MNRF’s interaction with the First Nations…, revisited Westwind’s direct involvement in PaBIA’s evaluation of the introduced Pine Saw Fly in the fall of 2015, and the make-up and purpose of Westwind’s Advisory Council. More on that later! Likely, the ‘most important takeaway’ from Shelagh’s discussion with Barry was his concern that the good relationship between PaBIA and Westwind would continue even as a new PaBIA representative comes forward over this summer, hopefully with some forest management experience and/or keen interest! Shelagh is retiring from this portfolio this coming November. Thank you Shelagh for all your hard work on this over many years! Staffing levels at Habitat Gateway North have been increased to meet the needs to service new Habitat projects. Kim Woodcock is the new Habitat CEO. David Abernathy has been added as the Construction Manager. 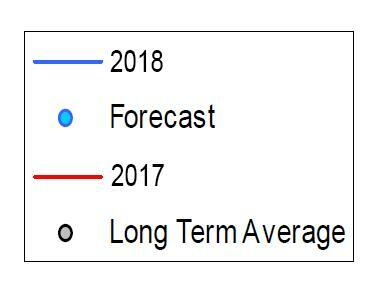 Britta Gerwin will continue to be our primary contact. Zoning amendments: At issue were the rezoning changes to create the residential lot on the Morel property for the Habitat house and to allow a right-of-way for access to North Shore road. On March 7, 2018, the Ministry of Municipal Affairs approved these zoning changes. On April 26, 2018, The Township Council approved these zoning changes. After 18 months of efforts by many people, all the additional environmental requirements to allow the new house to be built on the lot have been met. A big THANK YOU to all who helped! House design: The house plans that Habitat offered did not meet Township requirements. A new energy efficient house must be designed from scratch. This process is well underway. Once approved by Habitat OGN, donated working drawing will be drawn up quickly. Preliminary time-line: Assuming actual donations of at least $50,000 are made by July 1, 2018, efforts to start basic work on the lot can begin. Habitat will then permit us to post the family search form on the pointeaubarilcommunity.ca website. 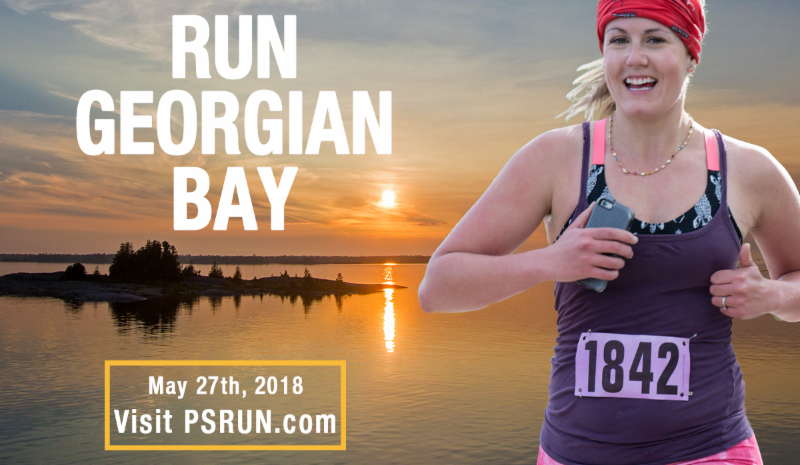 The family search will be managed by the Parry Sound Habitat affiliate with representation from islanders and Pointe au Baril village. This summer, the expectation is that the lot will be cleared, septic and well work will be completed and the foundation will start. Next spring (2019), assuming we have donations for the total cost of the house along with donated materials, we can start the framing and building. This is the fun part of volunteer work. Why build a Habitat for Humanity House in Pointe au Baril? Please Click to Read more! Raising Funds: To move ahead by agreement with Habitat OGN, we must raise funds of $50,000 towards the estimated total house cost of $180,000 before any work on the property can proceed. This total house cost includes the expectation that siding, roofing and windows will be donated by suppliers. Once Habitat has a minimum of $50,000 in hand, there are volunteers ready to start clearing the lot to comply with Ontario Wildfire Fire Risk Reduction requirements and can put in a gravel driveway, start foundation work and so on. Some have already donated or pledged a total of almost $25,000. We can do this! This Habitat project is unique in that there were many land issues. Pointe au Baril is a very small community to raise the funds and volunteers needed but this is our community and we want to be part of keeping it strong. Please read that attached reasons to build in Pointe au Baril. Spreading the Word: The next concern is how to reach out to the islanders and ask for their generous participation. The PaBIA Yearbook is for the personal benefit of members only and not for fund raising, so each of us must spread the message through word of mouth. The PaBIA board has been generous with space in the eBlast to inform many about the merits of our Habitat project. It will require all of us to spread the word. How to donate: Great News, Habitat OGN has applied for an account with American Fund for Charities in Boston. Some U.S. islanders who donated to the Parry Sound Hospital have donated through them for tax credit. Canadian or U.S. citizens can call Britta Gerwin at Habitat OGN or donate by mail. Please be sure to designate that your generous contribution is for Pointe au Baril!! Rosemary Tiffin, A474 ‘Bedwell Is.’, wife of the late Bill Tiffin (last commercial fisherman in Pointe au Baril), mother of Brad (Heather), Brian and Bruce (Andrea Tranter), May 2018. ﻿Unites Together Our “Water Access” Community To Promote, Protect and Preserve This Unique and Natural Region.